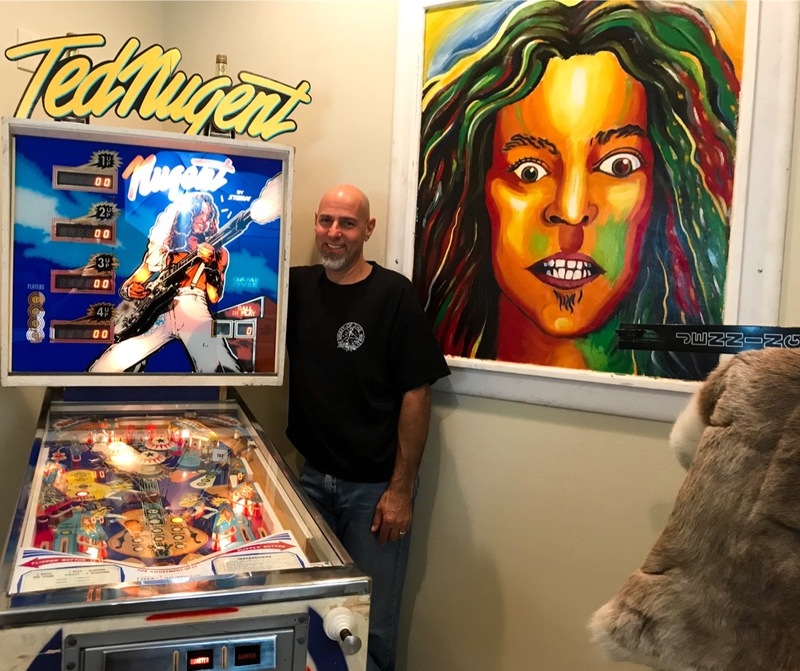 Ted Nugent pinball machines are not so easy to find these days. I have only my Partner-In-Ted Brad Kline to thank for this machine. He located this thing many years ago, even before we had internet! I’ve had it for many years but only recently completely restored it’s operation. It just needed a new sound board, then another new board, and even another new board. A few hundred extra shekels later and voila! Now the real challenge begins, getting Ted to stop by and sign it! Next Next post: A Jam With Ted Nugent!